Peace LoveWorld is a high-priced women's clothing store — primarily featuring trendy casual wear. ShopSleuth found 107 women's clothing stores similar to Peace LoveWorld, out of our database of 45,744 total stores. The following stores offer the closest match to Peace LoveWorld based on our proprietary matching algorithm. Submit your vote below to help us refine our Similarity Scores and rank the stores and brands most like Peace LoveWorld! Lace & Whiskey is an on-trend fashion retailer for women. Lace & Whiskey fuses city-chic edge with laid back bohemian for a look that is truly unique. Celebboutique is a London-designed bodycon worn by the rich and famous are now available for you to purchase exclusively online. Includes stunning statement pieces and perfect kit for killer curves. Lauren Moshi is clothing brand inspired by high fashion and fine art. It offers a selection of comfortable yet sophisticated basics and unique pieces featuring original art work by Lauren. Runwaydreamz is a woman's brand that sells casual, handmade clothing. Runwaydreamz is inspired by the Australian lifestyle and known for its high quality products. Libby Story believes in infusing creativity with fashion. Libby Story carries a full line of women's casual wear, outerwear, intimates and jewelry. Zoe Karssen is a fashion house based in Amsterdam. Zoe Karssen offers high-end, trendy, ready to wear items made of high quality materials in fun, outspoken patterns. 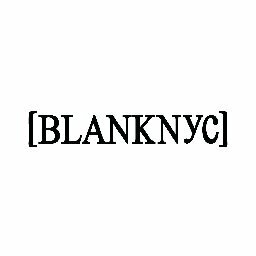 Blank NYC is a premium denim brand. The brand's aesthetic is an aggressively modern take on denim that embraces DIY style and individuality, resulting in quality fit jeans that fit like a second skin. Shop online at Scandinavia’s popular online store for fashionable men's and women’s clothing, accessories and beauty products. Nelly offers well-known international brands and Nell’s own products. Lovers and Friends is fashion for girls who are fun seekers and go getters. Lovers and Friends offers a variety of looks from boho-chic to city sleek. Peace Love World is an inspirational clothing and accessories retailer. It features designs with strong positive messages and powerful expressions to spread peace, love and happiness.